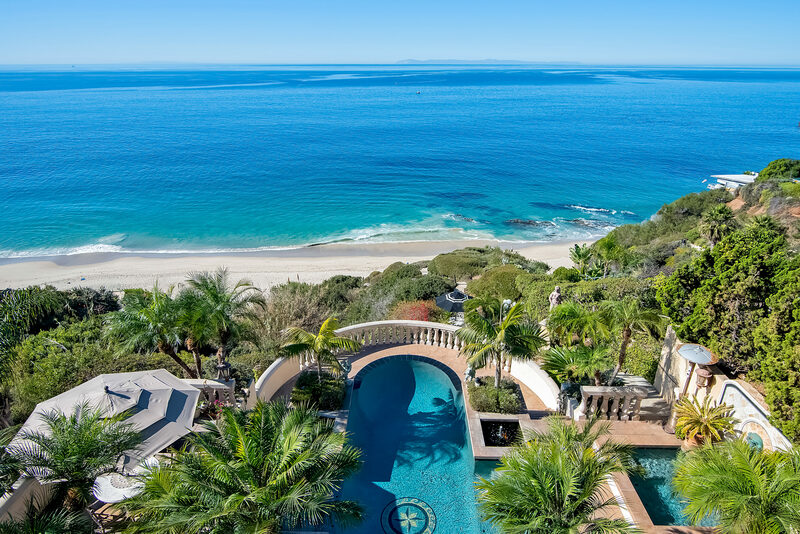 This incredible villa in idyllic Laguna Beach, California proudly bears a name that translates to the Beautiful Voice of the Sea. 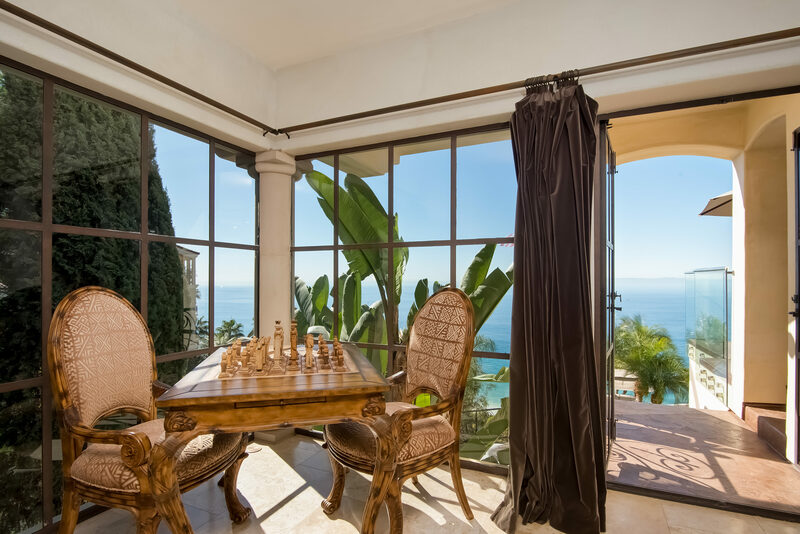 The Italian villa opens onto magnificent ocean, sunset and Catalina views with terraced grounds. 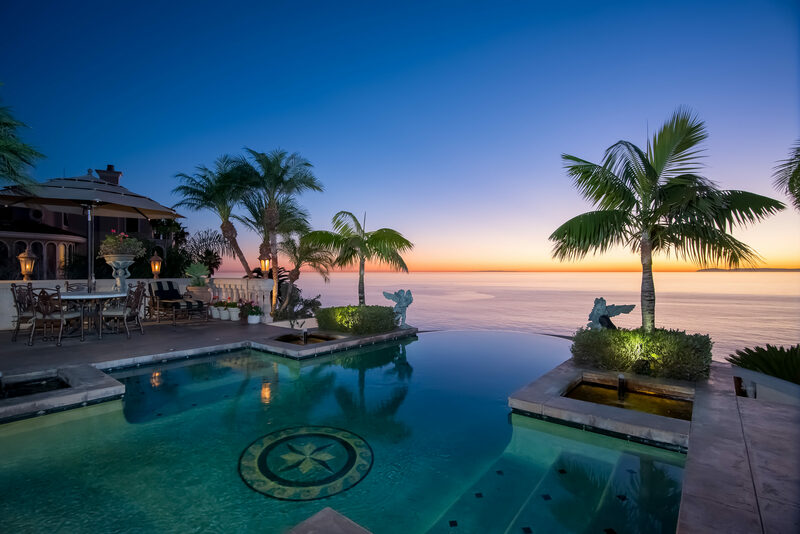 The entertainer’s dream home includes an infinity pool, lion head spa, fountains with Koi and alfresco dining areas terraced down to the ocean just feet from 1000 Steps in Laguna Beach’s most desirable coastal community. The home delivers spectacular views from three levels including the Cabana which has walls of glass open onto the infinity pool, spa, and deck. 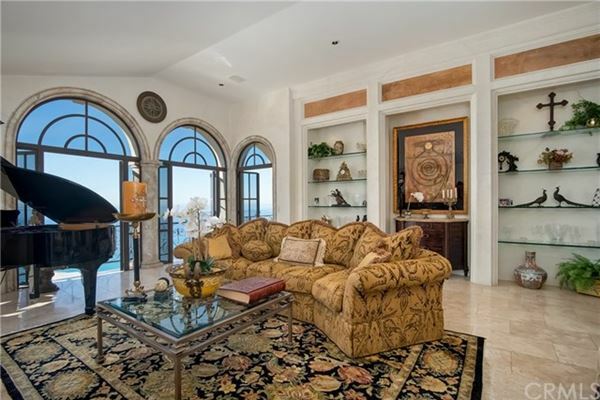 Enter on the ground floor to a world of elegance overlooking the beautiful pacific with white sandy beach. The first floor includes a living room , formal dining, gourmet kitchen and luxurious master suite. An arched staircase up leads to a private study with en-suite bath. 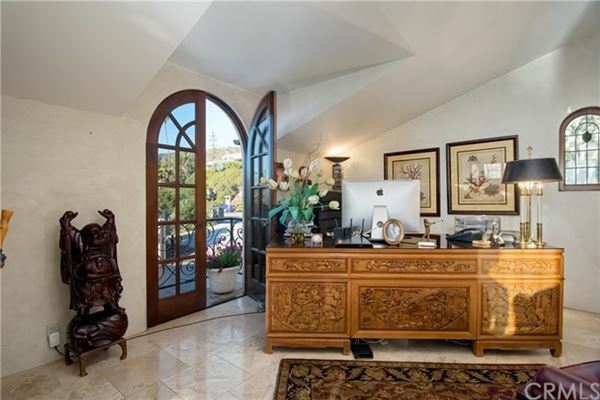 The staircase down leads to family room with a fireplace, walk behind wet bar, gaming tables and walk-in wine tasting room. A guest suite with oceanfront veranda opens to the ocean. The third level down enjoys an ocean front cabana with en suite bath, sunny veranda, granite counter bar and opens out to the sparkling infinity pool and spa. This incredible four-bedroom estate is listed for $10.89 million with First Team Estates, an affiliate of Luxury Portfolio International.